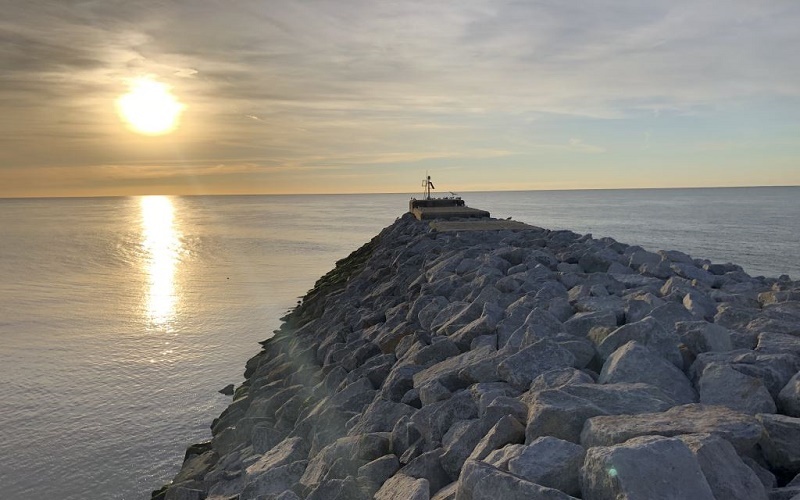 Mackley has successfully completed a project to maintain the structural integrity of the harbour arm in the historic town of Hastings on the Sussex coast. 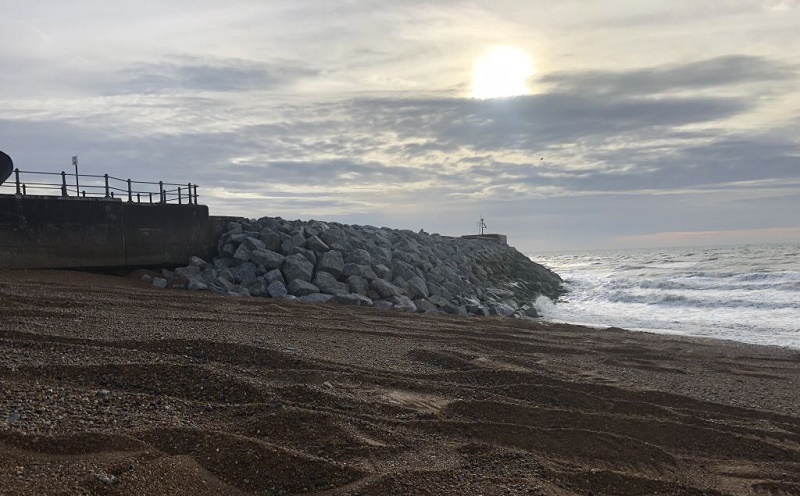 The scheme, carried out on behalf of Hastings Borough Council, is designed to provide two important functions – to protect and retain the beach to the west, and protect the harbour to the east from the prevailing south westerly waves. This beach is the main amenity beach in Hastings and also serves as part of the sea defence system, protecting the highway and building infrastructure including the proposed new Pelham Place development. The works involved re-facing the landward structure with concrete and reinforcing the seaward structure with rock armour. A site compound was established at the top of the beach adjacent to the RNLI building, which remained operational throughout the works, with uninterrupted access to the sea. The works commenced with the installation of formwork supports into the existing harbour arm, with a 50t tracked excavator. With the supports in place, dowel bars and mesh reinforcing were then installed – with shutters installed immediately prior to pouring the concrete, to minimise the risk of damage from waves. The inner section of the Harbour Arm was refaced with a total of 340m³ of 300mm thick concrete. Once the wall sections were cast the top slab was placed, thereby completing the encasement. The concrete was placed working from the outer end of the arm back towards the shore, so as not to cut off access. To make the most of low tide windows, the lower panels were installed on spring tides; while the upper panels, which were less tidally affected, were placed during normal working hours. Once the concrete refacing works were complete the project was suspended over the winter 2017/18 period and construction began again in spring 2018 with the rock works. The 6-9 tonne granite rocks were sourced from Cornwall and delivered by sea. Upon delivery the rocks were unloaded from a rock barge into an agreed rock landing zone, demarcated with buoys, to avoid the RNLI lifeboat and fishing boats access routes. A total of 14,500m³ of rock protection was delivered by sea to the toe of the beach by tracked excavators located on the 2,000tn and 5,000tn barges used to transport the rock. The rocks were then retrieved at low water by excavators and dump trucks for placing into their final position. This included 6-9 tonne armour rock with crest level +5.5m OD placed against both west and east sides of the structure and on top of the middle part of the structure where there were gaps. The existing stabits and broken concrete surrounding the structure was restacked to form the core, together with 0.5 -1.0 tonne rocks to the base of the armour layers, using a powerful 90t long reach excavator with a rock grab – together with one tonne rocks to the base of the armour layers. The rock placement was guided by a virtual 3D model on screens in the excavators. A geotextile and filter layer were used as the base for the new rock. The Harbour arm repairs were completed by installing new hand railing and reinstating the beach and compound area.